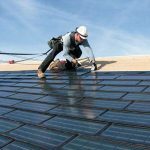 Reliable Roofing is a roofing contractor that services Lake Zurich, IL and the surrounding north Chicago suburbs with a range of roofing services from repair and maintenance to installation and replacement. We began business with a modest staff of 6 technicians, and we now employee 40 skilled roofers and are considered one of the most trusted roofing contractors in the north Chicago suburbs. We are fully licensed and bonded to service businesses in the state of Illinois, and we cover our work with a $10 million insurance policy. You can trust our highly trained technicians to address any issue with your commercial roof and we use the best roofing products available from the industry’s top manufacturers. We are also a member of the National Roofing Contractors Association (NRCA) which means that we are committed to providing ethical, cost-effective solutions for all of your roofing needs. If you need commercial roofing services in Lake Zurich, IL or the surrounding areas, contact Reliable Roofing at (815) 981-9801 and we will respond to your request within 24 hours. The main purpose of a roof is to provide protection for the building, but its protection ability can be compromised if it sustains damage. There are several common causes of roof damage including severe weather, animals, and falling tree branches or debris. Physical damage to a roof can become worse if it is not repaired, and increase the risk of leaks and serious water damage. 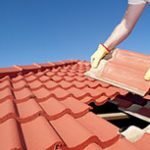 Reliable Roofing provides roof repair services in Lake Zurich, IL to repair minor to severe damage to commercial roofing. Our technicians can locate and address leaks and minor damage to avoid bigger issues and extend the life of the roof. The roofing for commercial buildings is meant to last for decades. The best way to ensure that you get the most out of the life of your roof is to have it regularly maintained by a roofing contractor. 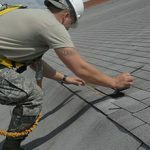 Regular roof maintenance services allow contractors to find leaks and minor damage on your roof, and address them before they lead to more extensive problems. They can also create a maintenance plan to help avoid premature wear and tear of the roof. Reliable Roofing provides roofing maintenance services in Lake Zurich, IL to help keep the roofs of commercial buildings in good repair. Our Roof Maintenance Program includes inspections, repair and maintenance schedules, and repair cost analysis to help your roof last. The roof is one of the most important features of a commercial building because it protects the people inside as well as the assets of the business. If the roofing of a commercial building experiences damage, it must be repaired immediately or the damage could get worse and cost your company or organization more money in repairs. Reliable Roofing provides a full range of commercial roofing services in Lake Zurich, IL to repair, maintain, install, and replace any type of commercial roofing. We provide these services for a variety of businesses and institutions including offices, retail stores, schools, healthcare facilities, warehouses, and more. 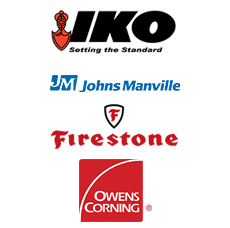 For any of the commercial roofing services listed above, don’t hesitate to call Reliable Roofing at (815) 981-8901. We are licensed and insured up $10 million.